In our holding area each pair has their own large kennel style cage with soft matting, a cave and nesting material. It usually takes some time for our new pairs to get comfortable with each other but our established pairs get right down to business as soon as they get behind the scenes. 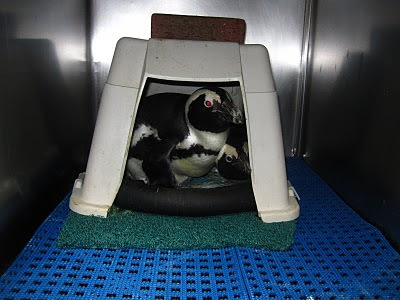 Stay tuned for the latest updates on our African penguin breeding season throughout the summer.